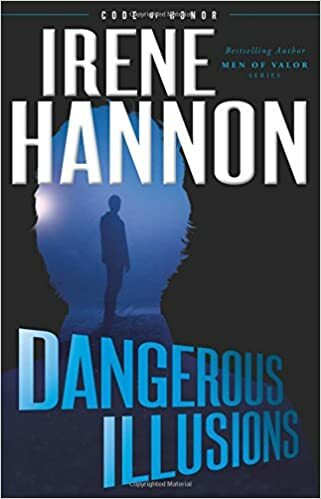 Irene Hannon is back again with another great start to a brand-new series! "Dangerous Illusions" jumps right into the action with introducing characters, but leaving the reader with so many unanswered questions and trying to fill in the gaps and figure out the relationships between the characters. Trish is overwhelmed with balancing everything in her life; however she knows that she did not screw up on her mother's medication causing her death even though Matt is suggesting that. As Colin immerses himself into this case as the detective assigned he feels like there is so much more than what meets the eye, but it is still out of reach. However, this is not something that he can really spend a lot of time on to uncover the truth as the stakes are deadly. This is fast-paced story filled with twists and turns and characters' lives that are intertwined. I found myself thinking I had some answers to be proven wrong in the next few pages, and feeling like I was no where closer to the truth than I was at the beginning. Irene's writing is also so great as she writes with such detail that the story and characters are brought to life and the story is a nice mix of romance and heart-pounding suspense. I am looking forward to book #2 in the Code of Honor series! 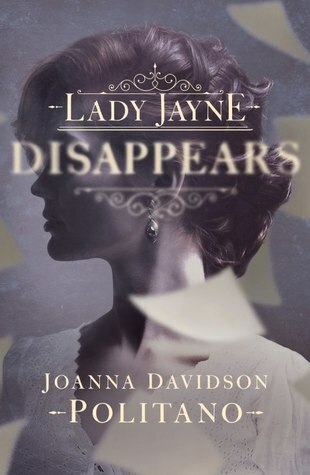 I loved this debut from Joanna Davidson Politano! Aurelie has grown up a very different life from what she finds herself living after the passing of her father. Her father has written books under a pen name and Aurelie decides to complete the writing of his last book; however she must rely on the help of a houseguest. Aurelie wants to find out the truth about her mother and also what took place at the estate around that time and the time of her birth. Aurelie is a great main character, I loved how she is portrayed and her character overall. This is a great story that really brings to life the time period and society at this time in England and the way of life. This is such a nice blend of historical details as far as the setting, the suspenseful story, the characters and the romance. I highly recommend this book for historical fiction fans! Reconnect with Catherine Marshall's Christy as it celebrates its 50th anniversary (AND a $50 #giveaway)! It was so nice to reread "Christy" once again! I read this as a teenager and absolutely loved the story and this led me to start reading Janette Oke books and now I still think about the book while watching the series, "When Calls the Heart." This new edition is a nice hardcover edition with Catherine's mother pictured on the front, which I absolutely love, as the book "Christy" is based on the life of her mother and the stories that Catherine would hear growing up of her mother's experiences. "Christy" is such a refreshing and inspiring story about leaving your comfort zone and following your heart and following your passion and facing challenges while relying on God. This is a wonderful classic and one can be enjoyed year after year and by generation after generation; I am looking forward to my daughter reading this book in a few years! "Vanishing Point" by Lisa Harris is a must-read for those whom have read her Nikki Boyd novels as this ties up some loose ends and provides some closure as well as giving some more background information in regards to the disappearance of Nikki's sister. Of course, there is so much more to the story than this and I loved reading about Garrett and Jordan, whom were previously a couple and now find themselves working together. There is already tension between them and now so much more as another girl is found dead and they find themselves racing to find the killer before more are killed. The novel is fast-paced and the writing style is so easy to get lost in the story and the twists and turn and romance sprinkled in as well. I highly recommend this book for romantic suspense fans! "The Secret Life of Sarah Hollenbeck"
I absolutely loved this book! This is my first book by Bethany, but it will for sure not be the last! Sarah has been content with her life and her occupation of writing novels, novels that are quite steamy. However, since becoming a Christian and really trying to live a God-pleasing life and she is struggling with how she can fulfil her work obligation and live her life how she should. This is such a fun and well-written book that all readers will be able to relate to as it is so real-life and the characters are all so real and relatable and their struggles. The story flows nicely and is a sweet romance and really is written from the heart. I highly recommend this book as it is an enjoyable read that will have you laughing and not wanting the story to end. Often adults are stumped, but Jared Kennedy's focus on the promises of God makes the gospel come alive to the littlest hearts. Through fifty-two Old and New Testament stories, The Beginner's Gospel Story Bible highlights God's perfect promises. Every page pops with bright colors, playful illustrations, fun learning opportunities, and, best of all each story points children to Jesus. In The Beginner's Gospel Story Bible, author Jared Kennedy traces God's perfect promises through fifty-two Old and New Testament stories, retold in simple and compelling ways with toddlers and preschoolers in mind. Each gospel-centered story highlights God's tale of redemption through Jesus and the unexpected and surprising ways that God's grace and mercy are revealed throughout the Bible. Children will hear the good news of God's love for them clearly expressed in ways that will speak to their young hearts. Brightly colored illustrations highlight the stories and add fun teaching elements of counting, opposites, patterns, and object recognition to keep even the youngest child's attention. Every story also ends with a question that parents and caregivers can use to further reinforce the message. Through reading this book one chapter at a time to your children-or letting them read it to you!-even the youngest kids will come to know that God's promises are especially for them, and that God always keeps his promises. Jared Kennedy, MDiv, ThM, is the husband to Megan and the father of three girls-Rachael, Lucy, and Elisabeth. He serves as Pastor of Families at Sojourn Community Church-Midtown in Louisville, KY and as children's ministry strategist for Sojourn Network. He blogs regularly at gospelcenteredfamily.com and is also the coauthor of "Leadership Mosaic" and two VBS programs, "Proof Pirates" and "Clap Your Hands," "Stomp Your Feet." This is such a wonderful Bible for children! There are 52 stories or promises that God has made shared in this book. Each one is illustrated and shared through simple text as well as questions to ask and the scripture reference as to where each is found. This book is seriously the cutest and the best for young children. The illustrations are so bright and just cheerful, filled with detail and so cute that children will love to look at and point out details. My favorite feature is the questions as this makes it so interactive for the children and to really teach the truths at even a very young age. My older children even enjoyed paging through this book and exclaiming over the pictures and making comments about various stories they have learned and how this reminded them of certain details. I highly recommend this for young children; it would make an excellent gift for the little ones on your Christmas gift list this year! If we reacted to our common culture with not just biblical facts, but also grace and compassion, what would our world be like? "World View" is a book filled with so much information and wisdom to help guide us in living in today's society. The lines can be blurry as far as living in the world, but not becoming a part of the world and living out our beliefs and to God's standards. There are so many topics covered in this book, and each one is addressed in only a few pages, so the information is concise and a quick go-to when you need a little guidance on something specific. Some of the topics addressed are: political parties, marriage, education and immigration. Olasky does a good job with addresses the issues and sharing Godly wisdom. With the layout of the book, it is so easy to find information that you are needing/looking for right at the moment, making this a great resource to have and refer to when needed. This is a great read for Christians with how society is at this time, as it is can be overwhelming, confusing and just at times difficult to live how you believe you should be. It should've been an idyllic Christmas on the new farm in Hart County...until the accidents. What a great story to read to get me in the mood for Christmas decorating and the Christmas season! I love the cover of this book, it is beautiful and I could also picture being on the farm and in Hart County while reading. Shelley has once again done a great job with setting the scene, creating characters that are easy to love and connect with and a nice mix of suspense and romance. The book starts out with a bang, literally, and I was immediately drawn into the story. Susanna is so easy to connect with, I loved her as a character and Neil is such a good, strong character as well. Their interactions and watching their relationship grow in the midst of turmoil and tension was well-written and I love how the story develops and the storyline is drawn out. This is quick read that is perfect for the season. This is such a great book, absolutely love it and see it making the perfect gift for so many! "Pass It On" is a leather bound edition that really does look like a journal and I love this style for this as it is so much more than a book or a devotional book for that matter. It is a book to read and grow closer to God and with others through studying and reflecting on the book of Proverbs, but then your thoughts can be shared and passed on to others, your children, grandchildren, a friend, anyone really. That is why I love the style as it is so much more than a book, it is an keepsake. There is ample space to write on the lines provided in this and also in the margins on the pages. Each chapter in this book focuses on each chapter of Proverbs. The text for each chapter is printed at the start of the chapter, making it so accessible and right there; although honestly I will probably rewrite some of my notes and thoughts from this into my Bible to have there while reading. I love this book, it is a great format and a wonderful keepsake. The more he questions, the more dangerous the threats against him become. "Murder in Disguise" is the third book in Donn Taylor's Preston Barclay series and it is another great story! Professor Barclay finds himself in the midst of an issue once again when the department chair at the university is found dead and it is determined to be a suicide. However, this does not sit well with Barclay as there are too many questions and too many things that would lead him to believe that he could never have done this. As he questions and looks into this, along with help, he finds himself in increasing danger himself and on the outs with other individuals. Donn Taylor has a great style of writing as it is easy to get drawn into the story, the mystery of it, but also the romance that is sprinkled in as well. I really enjoyed this addition to the Preston Barclay series and look forward to what may be written next!